Dennis Wallace was born and bred in Northland and grew up on a dairy farm in Ruawai. 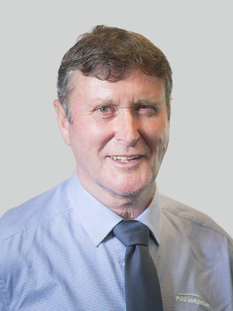 After working in the dairy industry, mostly in sales and service roles since 1983, the switch to PGG Wrightson and the rural real estate sector was a logical move. Dennis is enthusiastic about real estate and is focused around working with both vendors and buyers to achieve professional, satisfying outcomes. Dennis is also passionate about all sectors of farming and land ownership. If you are looking for a hardworking, professional who will strive to provide the results you are seeking, then Dennis can definitely help with your real estate needs.